What are the best options for non-coders and developers to contribute to their favorite open source project? We’ll break down some of the barriers we’ve faced & approaches we like to help out in a non-development capacity. 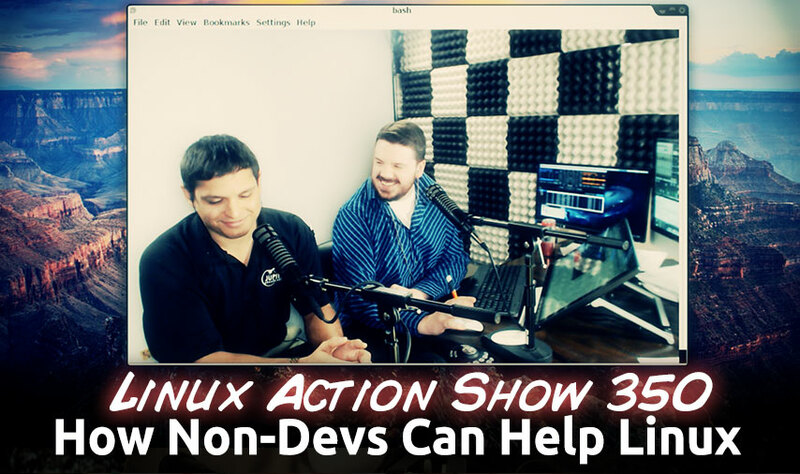 Plus the common ways the Ghost vulnerability is being exploited, how you can do your taxes under Linux & a few surprises! Abandoned IRC, unclear if anyone still “owning” the project. Mixed ways of funding. I want to contribute, but each project has their own payment system, and way of handling it. Bug Triage, find dupes, discover missing information developers would need to fully troubleshoot. The Samsung 4-Door refrigerator with 8″ Wi-Fi Enabled LCD will allow you to browse the web, access apps and connect to other Samsung smart devices – opening up a world of interactive communication and entertainment. 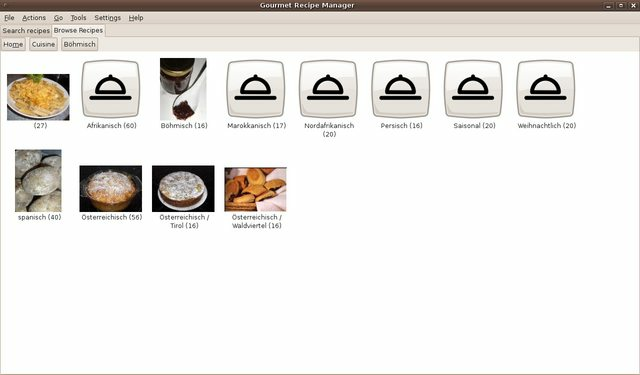 Gourmet Recipe Manager is a recipe-organizer available for Windows, Linux, and other Unix systems. Easily create invoices and purchase orders, pay bills and track sales tax. Import and automatically categorize bank transactions. These are the weekly picks provided by the Jupiter Broadcasting podcast, the Linux Action Show. This site includes a separate picks lists for the “Runs Linux”, Desktop Apps, Spotlight Picks, Android Picks, and Distro Picks. “Less than 48 hours after the disclosure of the Ghost vulnerability in the GNU C library (glibc), researchers have uncovered that PHP applications, including the WordPress content management system, could be another weak spot and eventually in the crosshairs of attackers. The Document foundation announced availability of the latest version of LibreOffice on Thursday, which it says is the most beautiful version of the open source productivity suite yet. LibreOffice 4.4 also fixes some compatibility issues with files that are saved in Microsoft’s OOXML formats. The screenshots above are bundled with the official Google Drive Mac client and they first appeared with version 1.18.7821.2489 (I checked the previous version and some random old versions and none contained these screenshots), released on October 30, 2014, which isn’t long ago and it most probably means that Google is testing Drive for Linux internally. So we might actually see an official release pretty soon. The Internet is abuzz today after Bill Gates published an image on his Facebook page and a link towards his website with the text “15 years from now, most people in poor countries will be able to take classes online.” It’s a sound goal and it’s perfectly doable, but in the image posted on Facebook the operating system is Ubuntu.